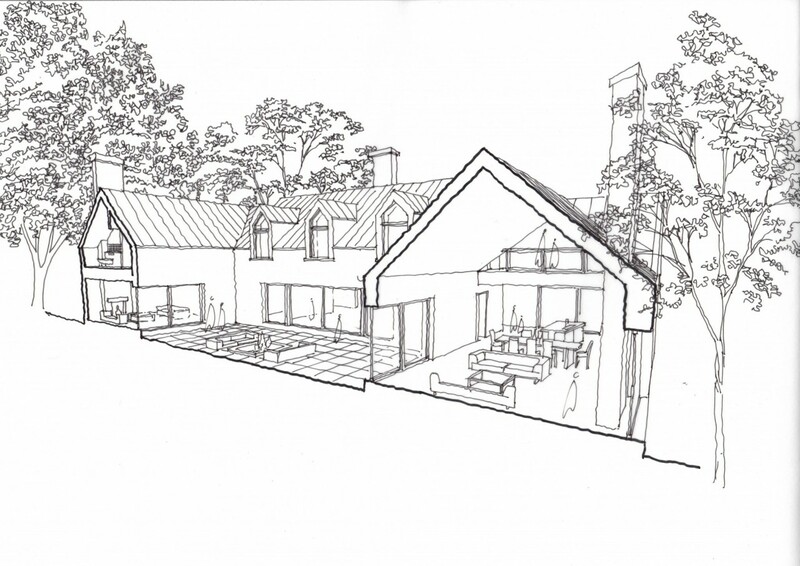 We were asked to design a stunning large farmhouse in a modern rural Scottish style. 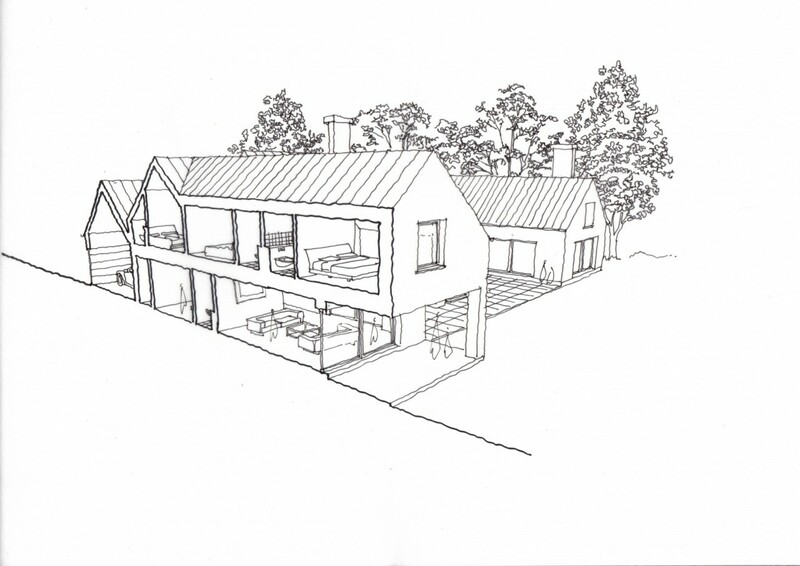 The house would sit on an existing farm, next to a golf course. We designed this luxurious new farmhouse around a south-facing courtyard. It took a classic form, including a central entrance, plus a large central chimney and fireplaces. Two wings sit symmetrically either side of the central living area. The clean-cut zinc roof and smooth rendered walls give the classic design a sleek modern slant. 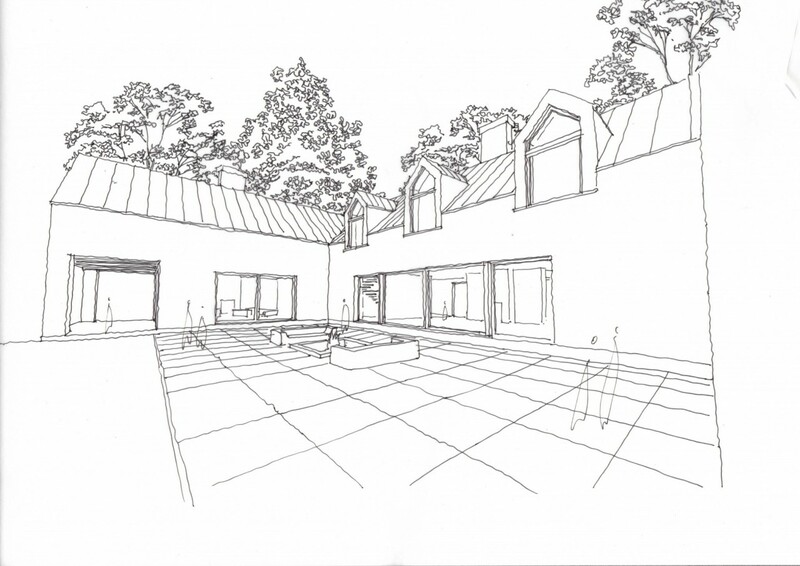 This was a grand design, featuring a large informal sitting room with doors out to the courtyard in the central area, plus other reception areas including a family cinema room. The dramatic large master bedroom featuring deliberately exaggerated dormer windows could be accessed independently via a secret staircase. This is a very successful design, incorporating a classic form with considerable modern features. Anyone desiring a large modern new-build in the rural Scottish vernacular style would find this a pleasing home to live in, with flowing spaces, plenty of light, and many luxurious touches.